When you have a rapid prototype or plastic injection molding project with TEAM Rapid, you have various options for your parts. Shipping cost and Transit Time vary depending on product, gross weight, volume, location and shipping method. At TEAM Rapid, we usually suggest our clients to ship their parts by the following 3 methods. Courier service is also known as the "express service", is basically a "door to door" service, courier company will get your goods from your supplier in the country of origin to your delivery address in destination Country. This is a quick and convenient option to ship your goods, generally more suitable for small volume goods or lighter Rapid Prototyping part or sample. We have signed a long-term cooperated contract with DHL, UPS, FedEx, TNT and can offer a better discount for saving your shipment cost. In general, air freight is the fast way to ship your goods. Air service is transporters through airline, which can be charter or commercial. 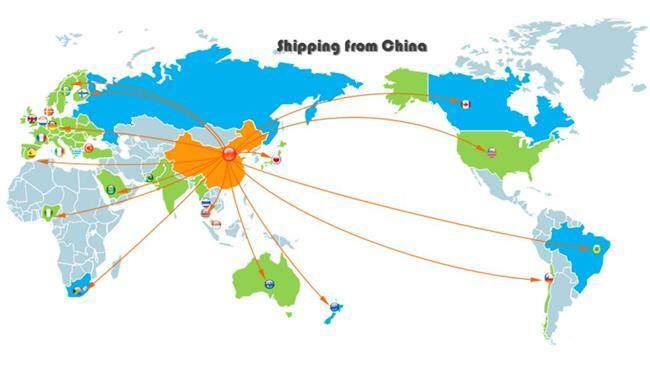 Such shipments travel out of the commercial and passenger airways to anywhere planes can fly and land. Comparing with the express service, the price of air freight can be cheaper and suggested to ship medium volume injection molded parts or pressure die casting parts, but it might take longer delivery time as with the customs clearance procedures must always be anticipated and properly shipping documents, the freight agent need action quickly to guarantee everything moves forward orderly. Over being in the oversea business for years, we have built up our trustable freight agent companies, we can get the good’s transportation situation in the first time and get you a timely reflection. Sea freight is the transportation of goods, consolidated into sea containers via Rotterdam to other seaports or terminals. Onward transportation to an inland terminal may be possible. For the transport, a so-called Express Bill of Lading with a unique number is issued. Sea freight is the most economy shipping method, but it takes quite a long time for transportation. We always suggest our clients to ship by sea if they have large volume parts and don’t need to catch the timeframe. TEAM Rapid is a leading Rapid Prototyping and rapid injection molding company in China, we dedicate to helping our customer successfully launch their projects into the market at lower operation cost. “Lower cost and better quality” is our philosophy, are you looking for a manufacturer to work with your new project? Contact us and get a free quote today. Are you looking for the best rapid prototyping company? How Much Does It Cost to Rapid Prototype?